Institute for the Humanities at Salado. Salado, Texas has been, for myself at least, only one of those small Texas towns that line the highway along the route between Austin and Sherman; a potential rest stop for my wife and myself when we drive to see our son in college. The Stagecoach Inn being the town’s sole iconic marker along the way. However, this Texas hamlet offers much more than many of us have imagined. Having undergone a regeneration of sorts, the town now boasts several interesting and enthralling businesses and has established itself as a destination rather than simply another interstate oasis. One of the town’s attractions, familiar to its citizens and aficionados of lectures and things didactic, is the Institute for the Humanities at Salado. The organization, founded by Dr. and Mrs. Harry Wilmer in 1980, was created in order to, “…provide[s] life-long learning opportunities to explore the ideas, history, literature and values that make up the human story. The purpose of the Institute is to increase knowledge, to stretch minds and to foster compassion in light of our rapidly changing world. Its goals are to promote the exchange of ideas and the search for wisdom.” At first thought this may seem a goal set on a too-distant horizon. However after attending one of the Institute’s lectures and meeting Tom Wilmer, one of the organization’s founder’s sons and a writer from California, and his mother, the wife of the late Dr. Harry Wilmer, the purpose and mission of the Institute not only appear attainable but, after witnessing the size of the audience and noticing their adherent attentions, many of its goals have already been realized. 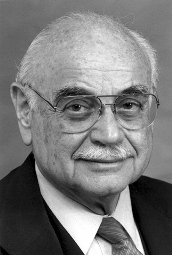 Dr. Wilmer graduated from The University of Minnesota, from which he earned BA, MB, Ph.D. and M.D. degrees. He trained in psychiatry at the Mayo Clinic where he was also on the staff. He also has been on the faculty of Johns Hopkins University, Stanford, and the University of California, where he was professor of psychiatry before coming to Texas. He received his Jungian analyst training in Zurich on a Guggenheim Fellowship. From 1955-57, he served as a Captain in the US. Navy, assigned to the U.S. Naval Hospital in Oakland California and the National Naval Medical Research Institute, in Bethesda, Maryland. The obituary continues, Dr. Wilmer was responsible for helping introduce the practice of group therapy to North America at Oak Knoll Naval Hospital in Oakland, CA. His book, Social Psychiatry in Action, was made into the 1961 Emmy-nominated TV docudrama "People Need People." In addition to this impressive list Dr. Wilmer was also the author of several books on Jungian psychiatry and group therapy. For anyone interested, Dr. Wilmer’s accomplishments are astounding; a search on his name will yield amazing results. I have been inside the doctor’s home office. Twice. The atmosphere within, calm and mesmerizing, is nothing short of astounding. Books aligned, shelf upon shelf to the ceiling, topics as eclectic as a Latin dictionary from the early 20th century as well as analyses of Jungian psychiatry written in a language as foreign as the subject itself. I was told by Tom Wilmer that his father had not only read every text in the place but could recall details from each with a supernatural precision. It was not difficult to imagine that celebrities and dignitaries alike had sat in that office hoping for and expecting some insight into their respective personalities, anxieties, concerns, dreams and nightmares. The lecture that my wife and I were invited to attend was given by Dr. William Dement of Stanford University. The talk was on the subject of sleep, sleep disorders, sleep apnea and the dangers of sleep deprivation. Dr. Dement gave a lively, entertaining, educated and oftentimes humorous talk. Several minutes were given to the subject of snoring and its treatments. A topic that was, at first, taken lightly by the audience until the talk began to center on the effects of sleep deprivation caused to the “partner”. It seemed that most in the audience could relate to that scenario and, after Dr. Dement demonstrated some of the more serious results of this situation, the group settled into a more attentive state as the subject took on a greater personal signal. The room was full -standing room only- and all were engrossed by speaker and subject alike. Afterwards, it was easy to understand why Dr. Dement is so well respected around the globe. We also learned that his classes are some of the most sought after on the Stanford campus; he has developed a sort of cult-like following among the students. The Institute at Salado likewise has developed a following. The citizens of the town understand what a treasure they have with the Institute and its founder and his widow, Mrs. Jane Wilmer. The day of the lecture, it seemed that many of the town’s residents flocked to the old school building where the meeting was to be held, just as residents of small towns do for Sunday worship services. The opportunity to hear such a noted speaker was a powerful draw. Small wonder. The list of previous speakers, such as: Barbara Jordan, Lee Marvin, Maya Angelou, Liz Carpenter and Robert Bly, would pique anyone’s interest in subsequent lectures. Indeed, former Secretary of State James Baker is slated to give a talk this Fall 2010. The Institute’s stated purpose, in addition to the aforementioned goals, is to honor the memories of Dr. Wilmer and Hank Wilmer, the oldest son of the family who passed away in 1997. The family’s attempts to honor their relatives, by giving back, not only to the community of Salado, but to all of us through education and spiritual enlightenment, is a gift that is beyond thoughtful and could, in no way, ever be repaid. However, I doubt any of the Wilmer family would ever expect anything other than our attention to their message. It is, after all, intended only for our benefit.